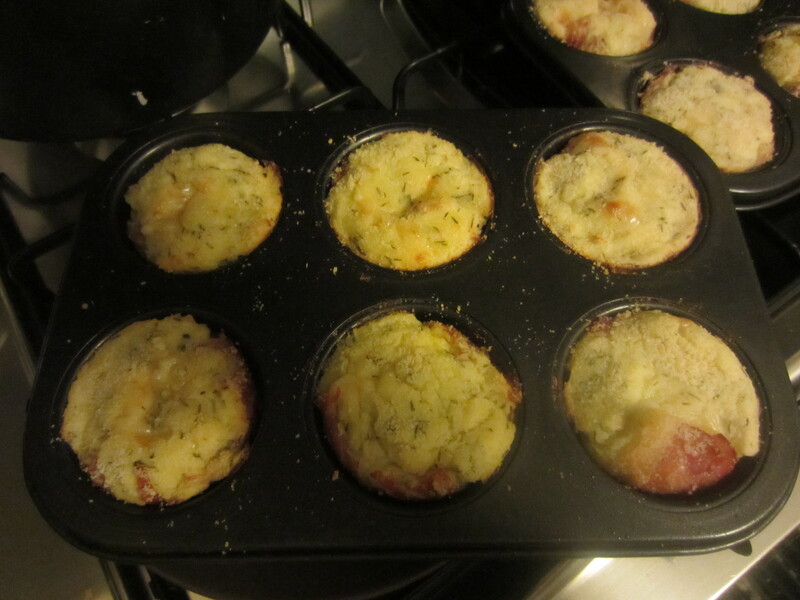 I love muffins, and so I worked to have them also in a savory version. 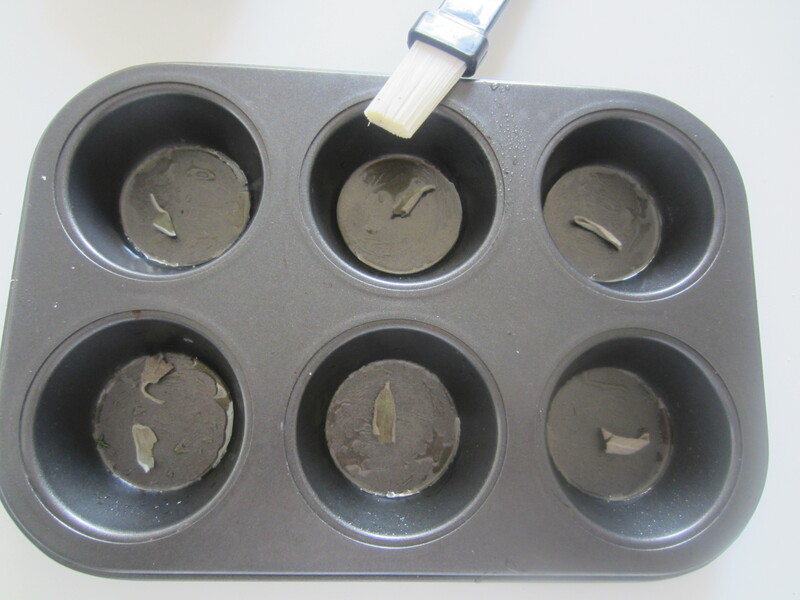 Here is one of my try and result. 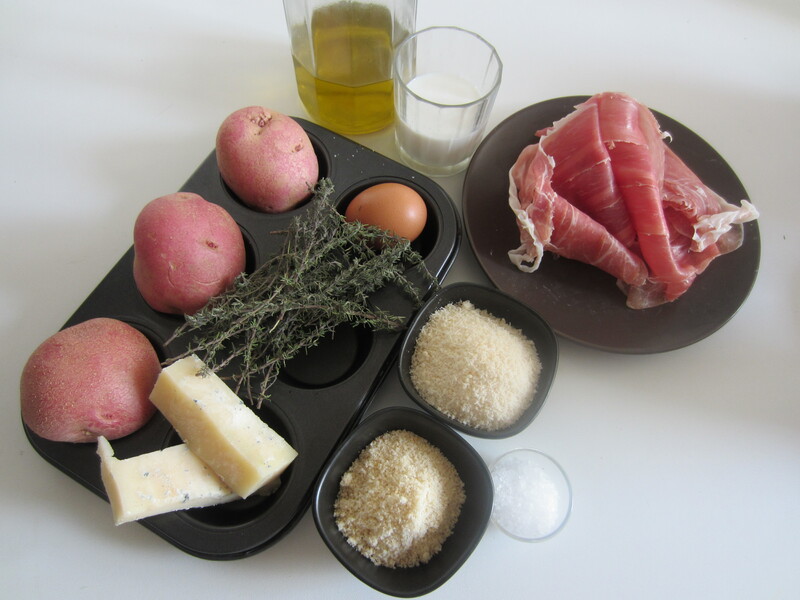 3 big potatoes, 4 tablespoons of grated Parmesan cheese, 1 cup of cheese cut in little pieces, salt to taste, 1/2 cup of milk, 6 slices of ham or bacon, 1 egg, pleanty of thyme, 2 tablespoons of bread crumbs, 1 tablespoon of extra virgin olive oil. 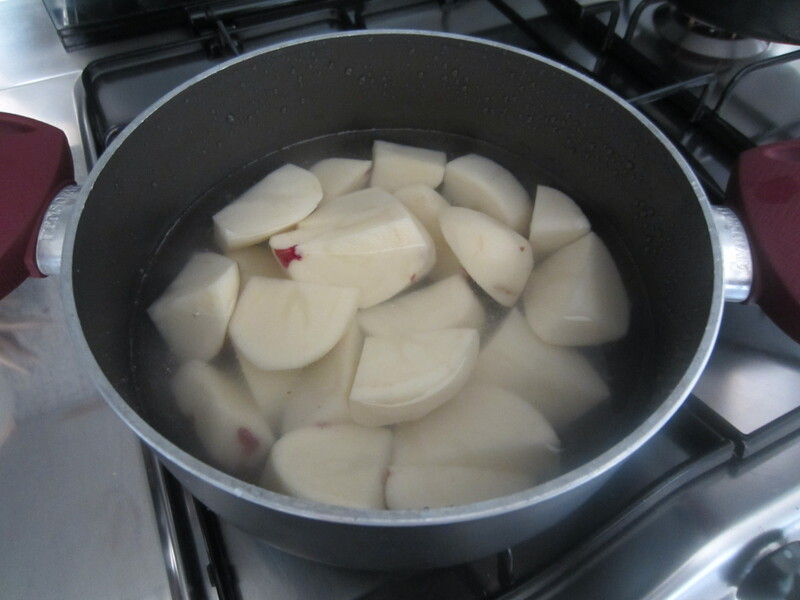 First of all peel and cut the potatoes, and boil them with a little salt to taste. 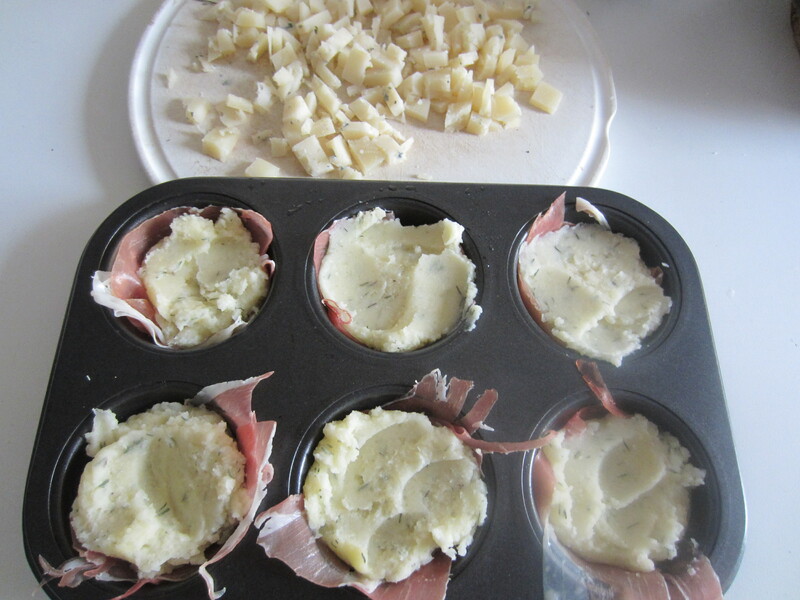 In the meantime spread a tablespoon of oil in a muffin pan. 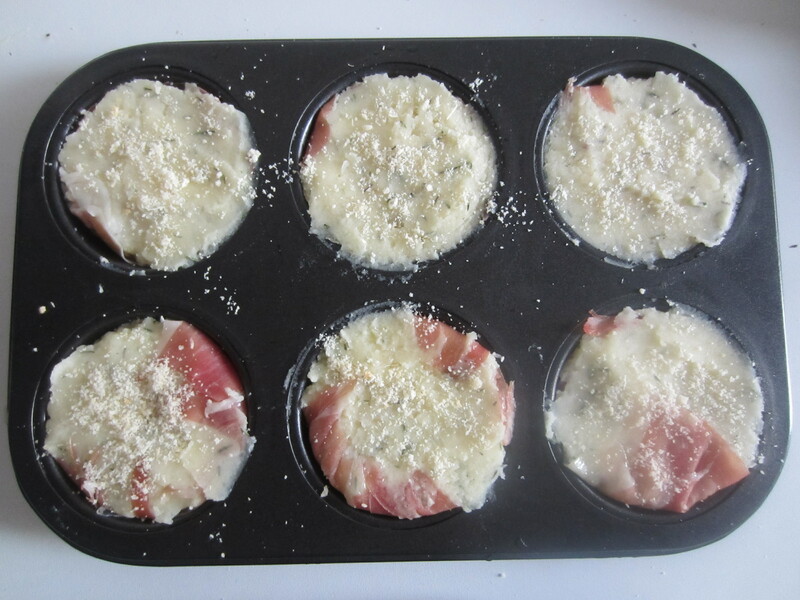 Put a small sage leaf on the bottom and then lined with a slice of ham or bacon each muffin cup. 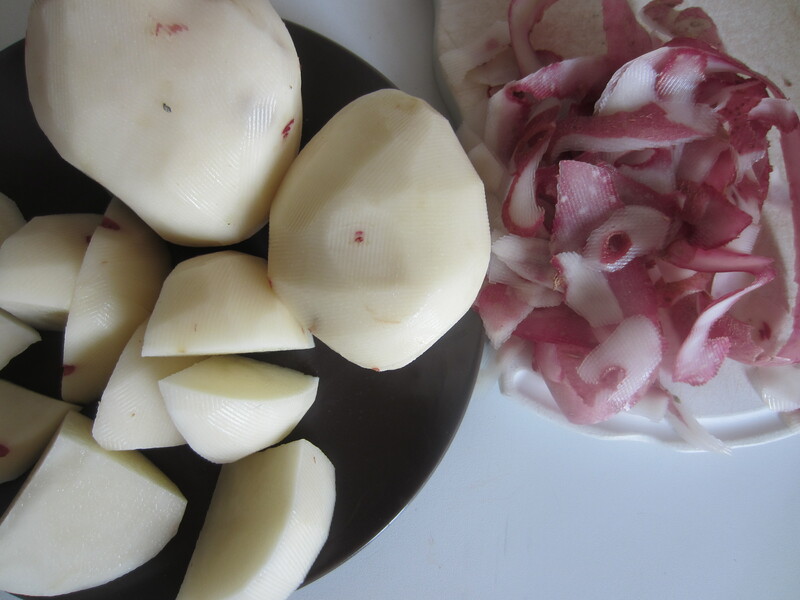 When the potatoes are well done put them through. 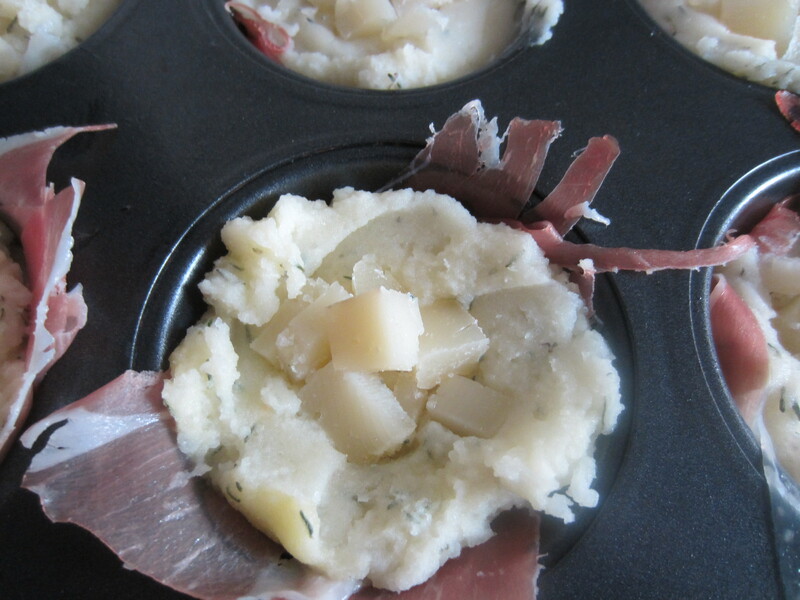 Let them cool for a while, then mash the potatoes. 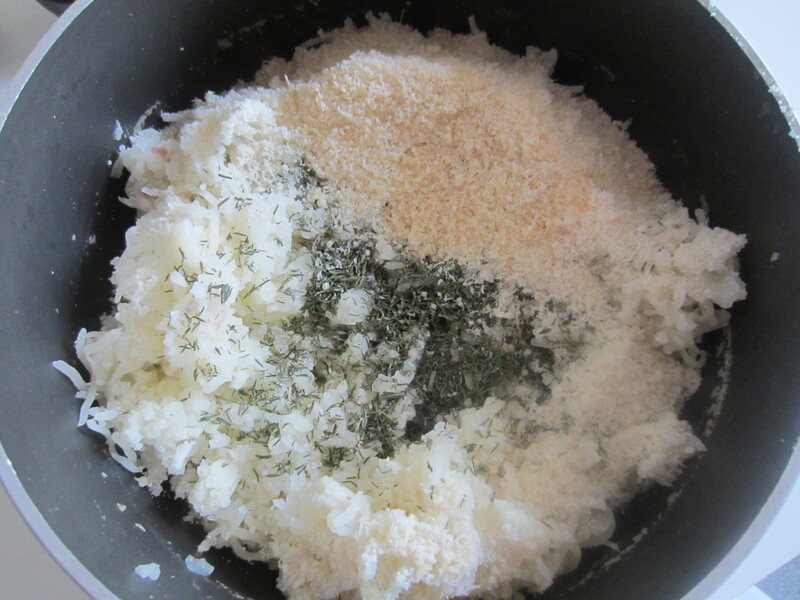 Mix the potatoes with the grated Parmesan, the bread crumbs, the tyme, the milk and the egg using a wooden spoon. 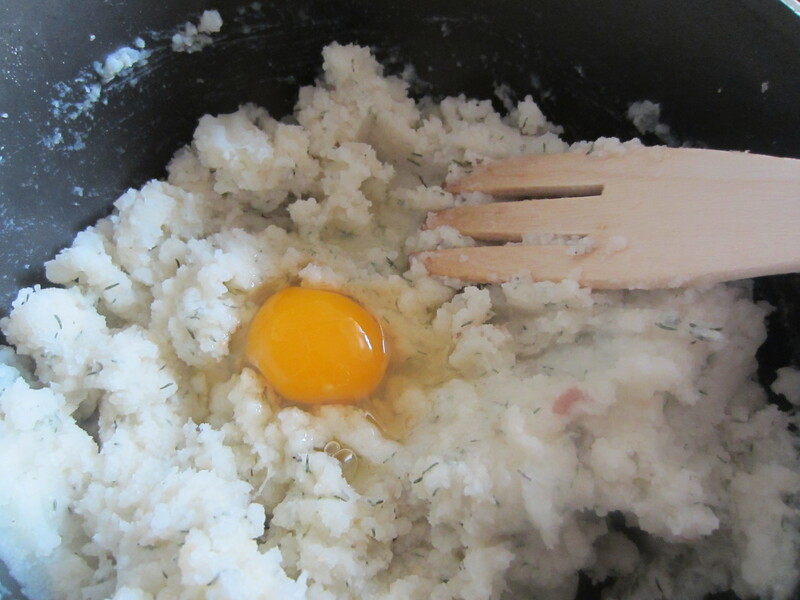 Add the egg and mix well to obtain a homogeneus dough. 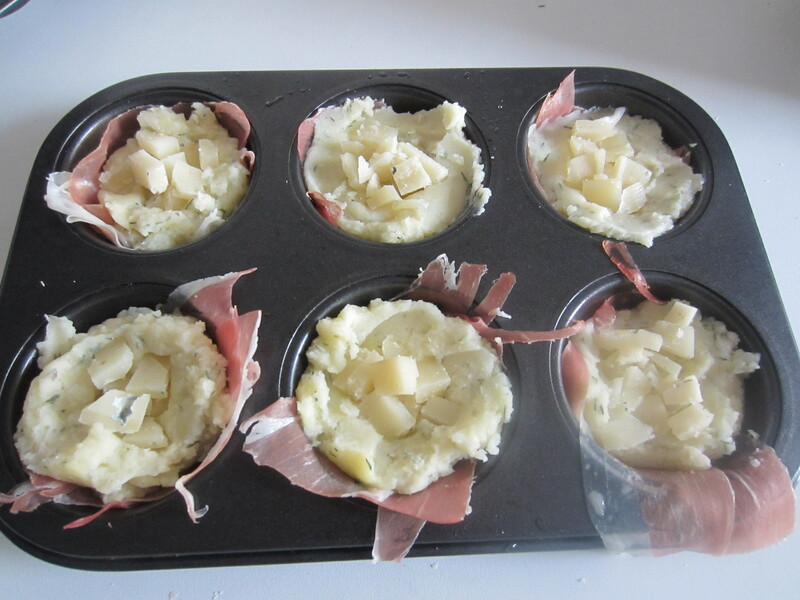 Half fill each muffin cup with the potato dough. 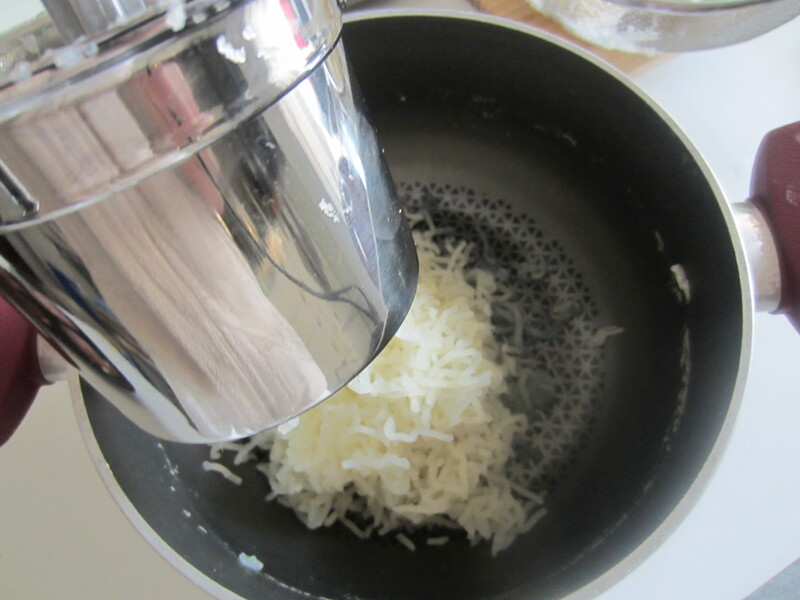 Add in the middle a little ‘cheese cut into small pieces, and cover the dough again. 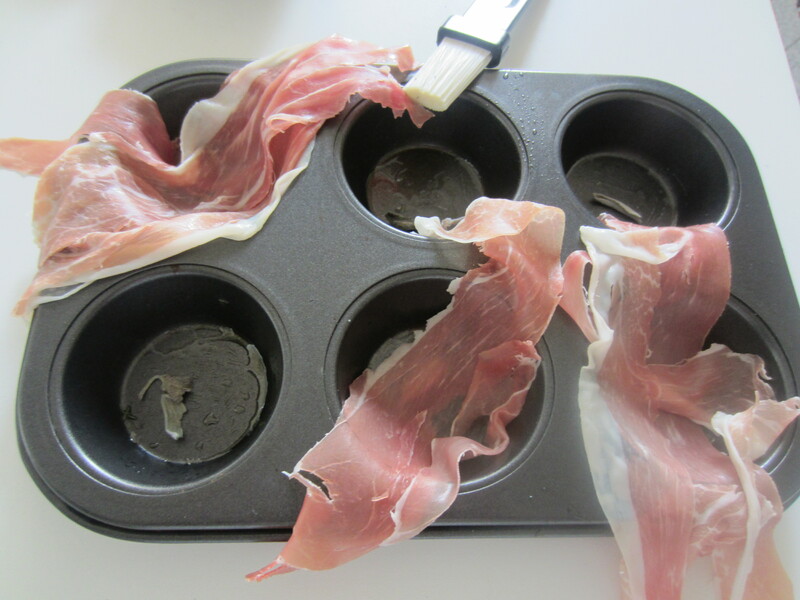 Fold any left ham and sprinkle the whole thing with a little ‘breadcrumbs. Bake at 160 degrees C for about 20 minutes. 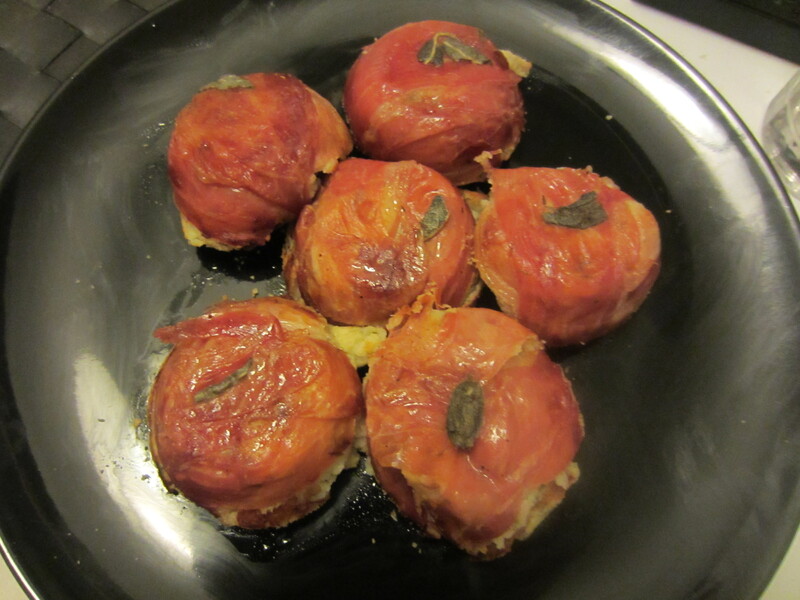 Remove from oven, let stand a few minutes, turn them and serve hot. Buon appetito and enjoy it! Thanks Jacqui! In case please take a picture and send it to me: I will be honored to post it! 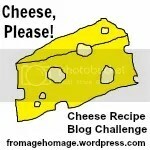 Another great recipe, Micaela! I am trying this out today! Thanks for sharing another great one! I look forward your feedback! Let me know!